Inspections are performed on a drop-off basis. All we need is your current registration card and a phone number which we can reach you at. Trailers are usually done in one-to-two business days. Vehicle inspections are performed on an appointment basis. Give us a call today to schedule your next vehicle inspection. Emissions test are performed on a drop-in basis. Emissions testing only takes a few minutes . Test is performed while you wait. Appointments are not necessary if you only need an Emissions test. 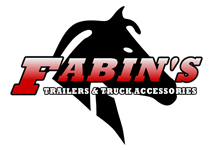 We offer a full service department and stock most parts. We can also ship parts directly to you, usually within 24 hours. We pride ourselves in our quality installations. No one is fussier than us when it comes to your truck.